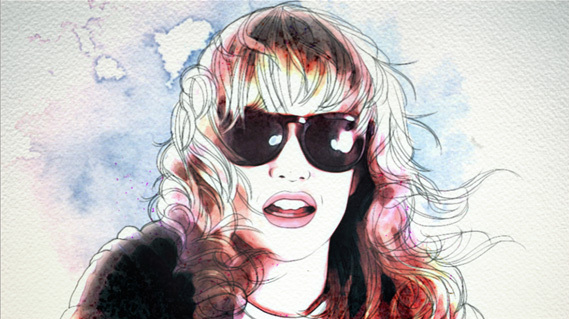 FRATER » Blog Archive » Ladyhawke…! Fresh off the Frater press this week is our promo for New Zealand popster Ladyhawke (aka Pip Brown) and her latest single, “My Delirium”. Working with Pip’s friend and artist, Sarah Larnach, we hope to have created an animated video that reflects her layered watercolour painting style; intertwined with live action of Pip mooching about in a seedy american motel. Now showing in WORK. You can see more of Sarah’s illustration work here. This entry was posted on Sunday, October 26th, 2008 at 2:43 pm	and is filed under News, Work. You can follow any responses to this entry through the RSS 2.0 feed. You can leave a response, or trackback from your own site.